gives the angular spheroidal function of the second kind. 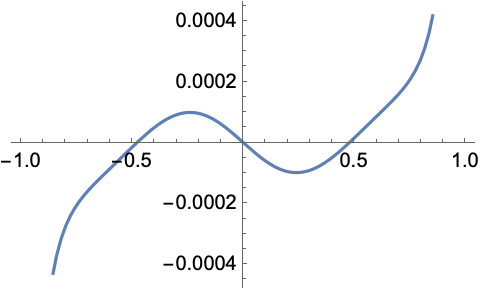 The angular spheroidal functions satisfy the differential equation with the spheroidal eigenvalue given by SpheroidalEigenvalue[n,m,γ]. SpheroidalQS[n,m,0,z] is equivalent to LegendreQ[n,m,z]. SpheroidalQS[n,m,a,γ,z] gives spheroidal functions of type . The types are specified as for LegendreP. For certain special arguments, SpheroidalQS automatically evaluates to exact values. SpheroidalQS can be evaluated to arbitrary numerical precision. SpheroidalQS automatically threads over lists.